The Guinness World Records states that the BIBLE is the world’s best-selling and most widely distributed book. Having been translated to more than 300 languages, it has been read and talked about for thousands of years. Do you want to put your Bible knowledge to the test? Join Scripture Quest! Scripture Quest, or SQ for short, is a Bible quiz show open to students – this applies from high school to postgraduate students, and even board review students are welcome! 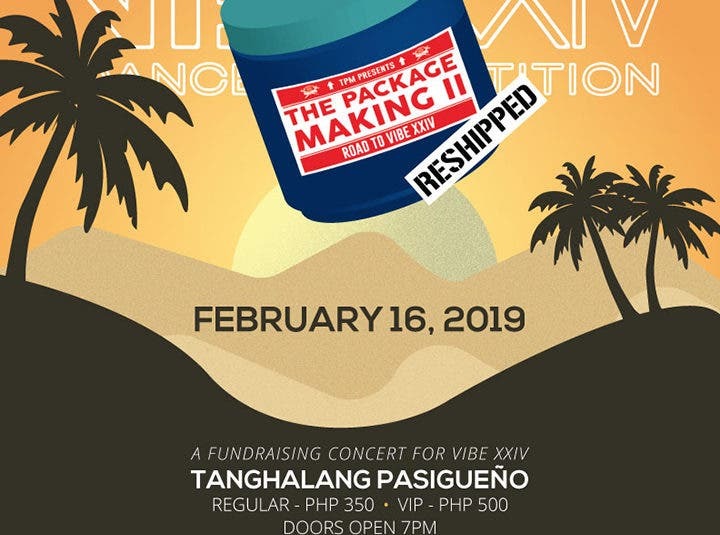 It will be held on February 17, 2019 (Sunday), 2-5PM at F. Benitez Alumni Center, UP Diliman, Quezon City. Have a chance to win as much as P5000 plus freebies! The second and third placers will take home P3000 and P2000, respectively. Just form a group of three students and refer below for the registration fee. You may register NOW and pay on the day of the event. Register your team now at tinyurl.com/SQPreRegistration. 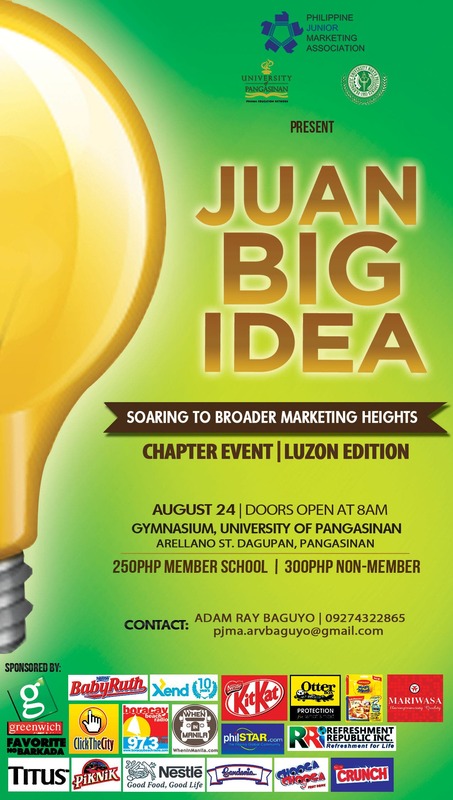 For inquiries, contact Mia (0998 990 5998) or Chelle (0927 648 5022). 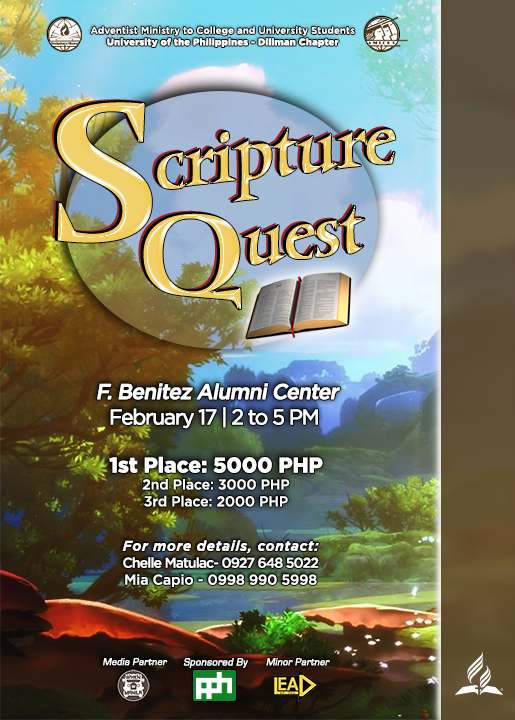 Scripture Quest is brought to you by Adventist Ministry to College and University Students – UP Diliman Chapter (AMiCUS UP Diliman) and sponsored by the Philippine Publishing House. Its official Media Partner is WhenInManila.com and its Minor Partner is the Leaders for Excellence, Action and Development-College of Home Economics (LEAD-CHE).